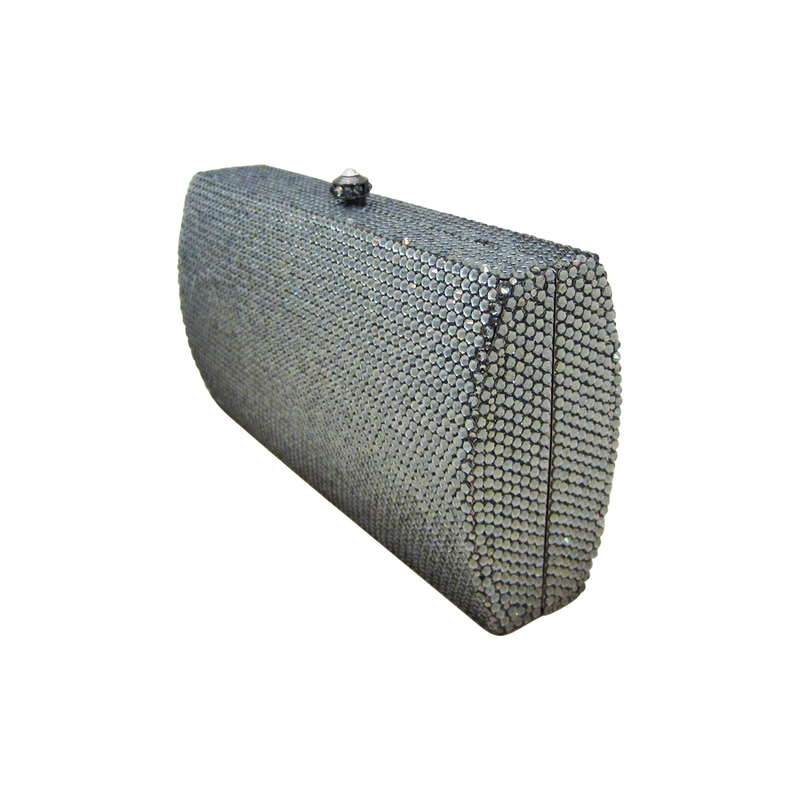 This Anthony David crystal clutch evening purse has a solid metal frame with a titanium electroplated finish. 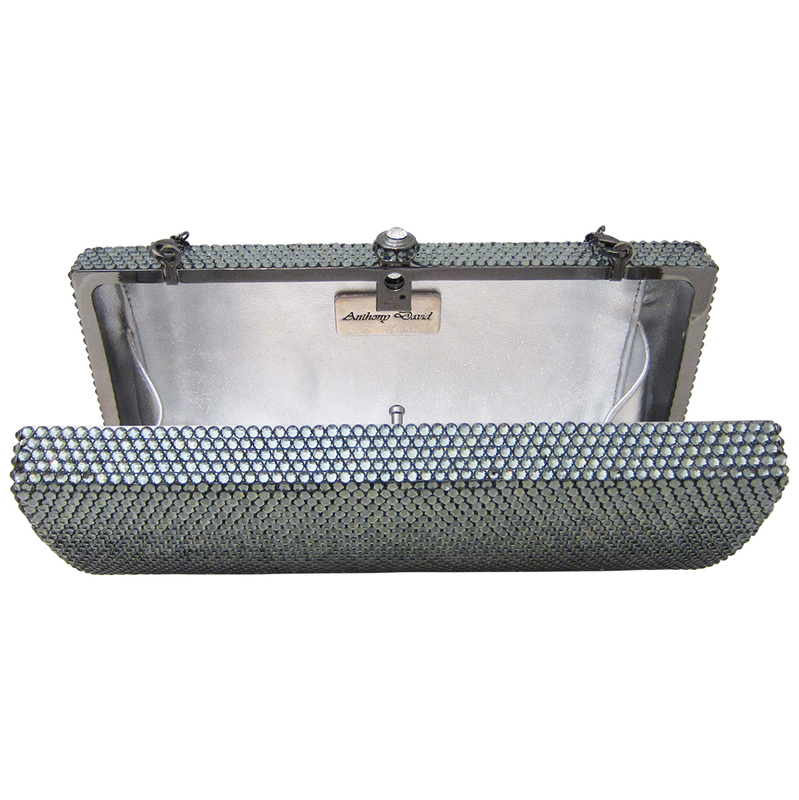 The metal body is fully covered with hand-set pewter gray crystals. 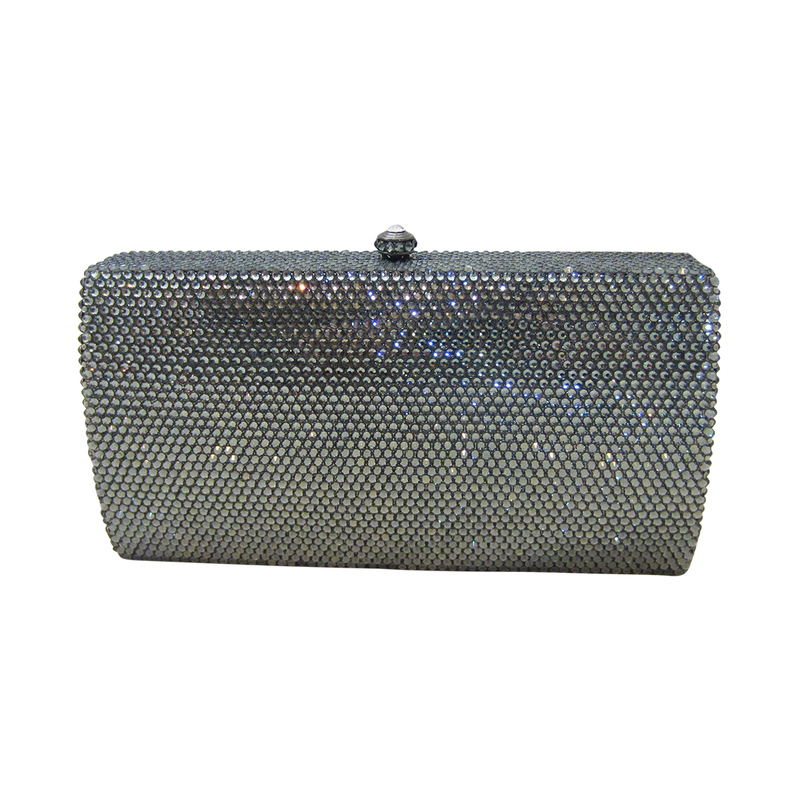 You can carry this crystal purse as a clutch handbag or wear it as a shoulder bag with the detachable herringbone style shoulder chain. This evening bag is also big enough to fit a large iPhone. 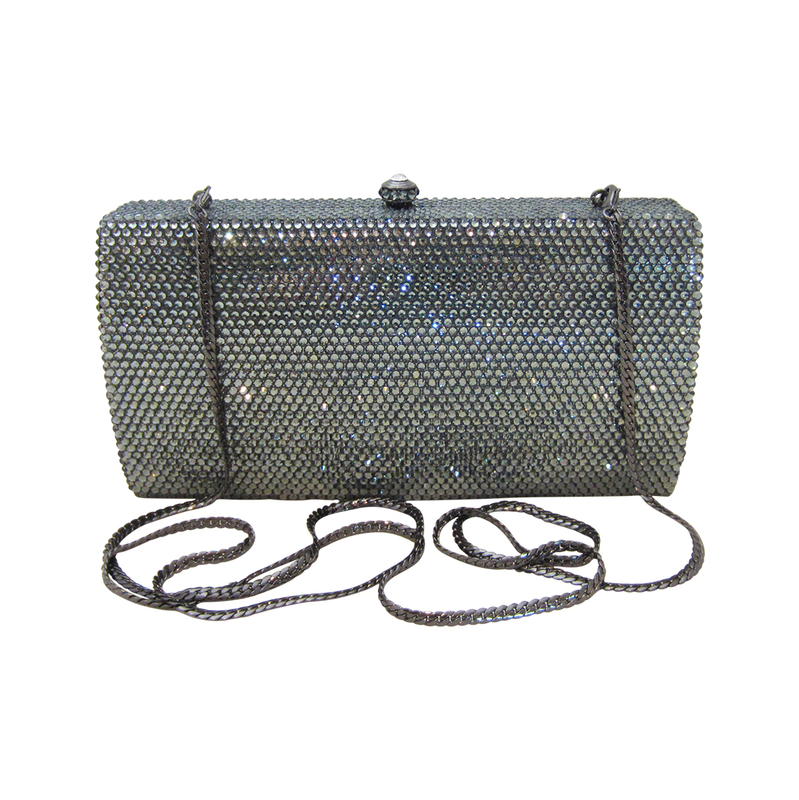 Fully covered with pewter gray colored crystals. Solid metal frame and chain with a gunmetal titanium plated finish. 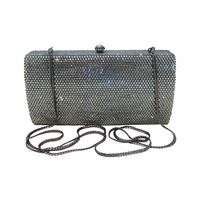 The Anthony David Collection has many silver crystal bags in multiple shapes and sizes. Fully lined in genuine leather.